Do you ever have difficulty resizing your digital photos to send to friends and family? Check out Pearl Mountain Image Converter to help you find the perfect size photo. • Convert thousands of files at once in batch mode. • Supports the most popular image formats: BMP, JPEG, TIFF, RAW, PNG, GIF, TGA, and PSD, and almost all image formats. • Save operations that you usually use as profiles and bring convenience to you in the future. • Convert between many different image file formats. • Resize image for any different use, such as for web, e-mail, photo printing, Facebook, MySpace, mobile phone, ipod/ipad/iphone, etc. • Adjust image brightness, contrast and saturation in batch to make your images look more special. • Apply border to images. 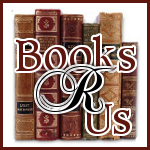 • Crop photos, removing unwanted areas. 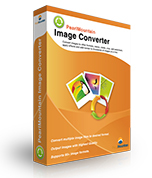 Thanks to Pearl Mountain Technology, I am able to give away 5 copies of the Image Converter software.